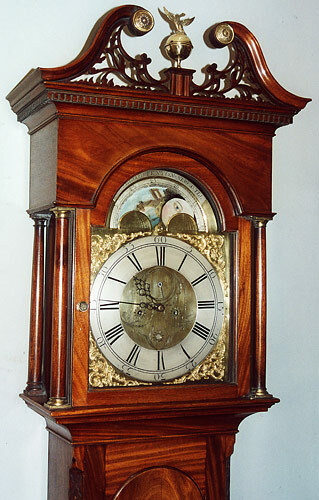 Eight-day longcase clock in mahogany with lunar and tidal dial by William Fenton of Newcastle on Tyne c.1775. See description. SOLD.